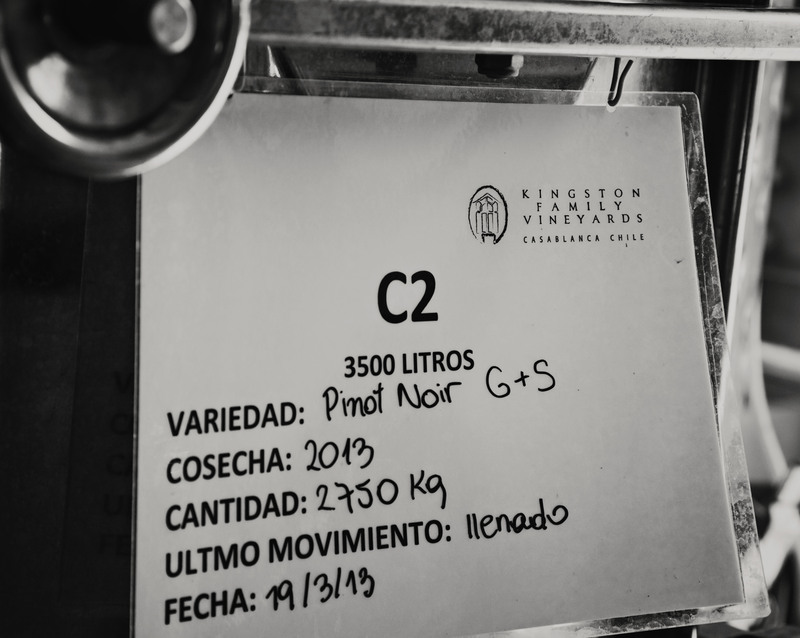 Ten years ago, we bottled our first vintage of Kingston Family Pinot Noir and Syrah from the western hills of Chile's Casablanca Valley. We did not have our own winery. Instead we brought our essential winemaking equipment down in ski bags, and made our wine in a little rincón in the corner of our neighbor's winery, Casas del Bosque. We were among a handful of Chilean vineyards leveraging artisan winemaking and sustainable viticultural techniques to uncover the potential of coastal Chile. We're pleased to have recently joined up with that "handful" of artisan winemakers to form MOVI. The Movimiento de Viñateros Independientes or the Movement of Independent Vintners (MOVI for short), is a group of Chilean garagiste winemakers who have teamed up to promote handcrafted Chilean wine both in Chile and abroad. We’re excited to be joining other wineries who share our passion for grape growing and producing quality, small-lot wine. MOVI members include a diverse group of winemakers from half a dozen countries. That even includes one of Byron's friends and former classmate at U.C. Davis, Ed Flaherty of Flaherty Wines. The international group, like our Chilean-American team, is committed to making great quality wines in Chile by any means possible. Sometimes that even means making wine at someone else’s winery, just as we had to do only a few short years ago. We’re glad to now be able to provide that space in our winery to other small vintners including our friends Felipe and Coni of Garcia + Schwaderer Co.(formerly Bravado Wines) and Ana María Pacheco, Villard's winemaker, both members of MOVI. As we join MOVI, we’re looking forward to being a part of the group which has, since its founding four years ago, grown from 12 members to 22 and along the way brought great international attention to Chile’s independent wine movement. We’ll soon be participating in even more events in Chile and abroad. Yesterday, for example, our assistant winemaker, Alejandra Farfán, traveled north to Antofogasta, Chile for La Feria de MOVI or the MOVI Wine Festival where she served Kingston wines, along with other MOVI wines for distributors there. Our hope is that through this festival and other events we can expand the presence of Kingston wines in Chile, a very competitive market. In all, we're thrilled to be a part of the burgeoning movement in Chile which centers around food and wine, inspiring gourmet cuisine and sparking a growth in handcrafted, artisan wines.